We are no longer accepting entries for the 2017 FALL FIBER GIVEAWAY!! Brought to you by YarnWars and We Are Knitters!! It’s been far too long my friends! YarnWars is definitely due for a giveaway, don’t you think?!! and we have teamed up with an awesome group called We Are Knitters to bring you this exciting event! This giveaway will last only about 9 days, so don’t wait to enter! The giveaway begins today! Wednesday, 09-27-2017. You will have until 11:59 pm Eastern time October 5th to enter. Winners will be announced October 6th! YES! You heard me right! Winners! There will be 3 winners of this giveaway, each receiving a $50 gift certificate to be used at WeAreKnitters.com!!! 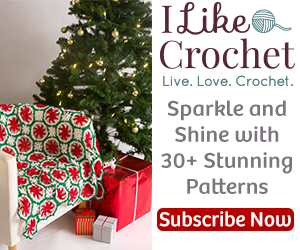 I am so excited as hopefully you are, and I think you will agree when you check out We Are Knitters store, that they have some great kits, crochet & knitting tools and fibers! Lots of fun stuff! First, you can participate by going to our YarnWars Facebook Page. Once on the page, you will see a post, pinned to the top, giving you the entry link. Entry is totally FREE! You will also find Conditions of participation within the entry link. After you enter your email address for your chance to win, take a moment to check out some of the great products in the WeAreKnitters.com store, then comment on our Facebook post letting us know which product you might choose with your gift certificate if you are one of our lucky winners! Don’t forget to like our YarnWars Facebook Page before you leave so you can be alerted when we post the winners of this giveaway on October 6th! Note: Your comment does NOT have ANY impact on your entry and does not determine the winners we choose. Your entry for this giveaway is 100% free! Important Disclaimer: This promotion is in no way sponsored, endorsed, administered by, or associated with, Facebook, Instagram or Twitter. Giveaway is open to U.S. & Canadian Residents only. Void where prohibited. Next week, after we announce the winners of this giveaway, we have some more VERY exciting news to share with you on a new adventure YarnWars will be diving in to and I think you are going to LOVE it! but, we’ll stick to one big announcement for today, so please please please, remember! Time is of the essence, this giveaway won’t be here for long, go place your entry today! Again, winners will be announced via private email as well as on the YarnWars Facebook Page!